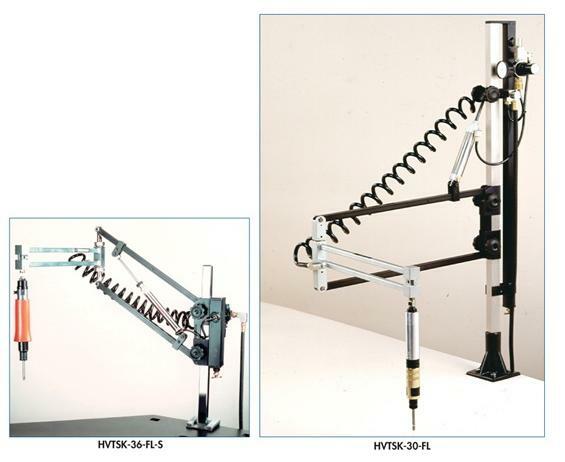 A complete assembly system for air & electric tools. Designed to absorb the shock transmission of power drivers so that no torque reaction will be transferred to the operator's hand. Systems balance the weight of the tool, improve tool accessibility and provides a more ergonomically desirable workstation. FOB Shipping Point. Maintains tool orientation in a vertical position. Available with either Adjustable Tension (spring) or Feather Lite ("FL" - air cylinder) balancing systems. 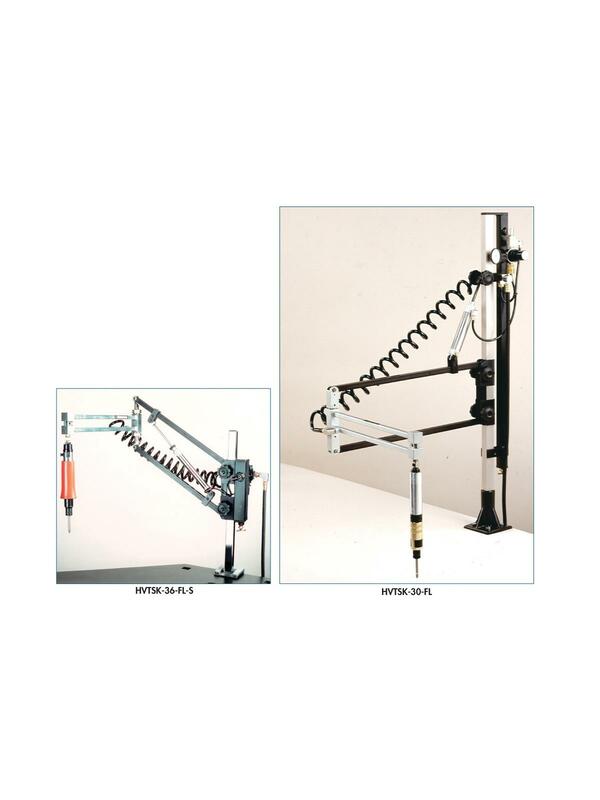 See Related Items tab for 3-Stage Telescoping Torque Reaction Arms.